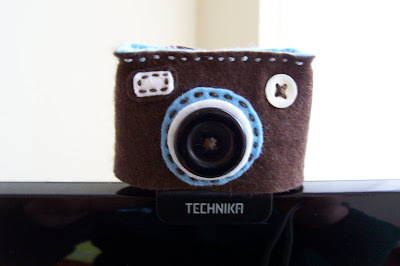 So is it just me or does anyone else have an uneasy feeling of being watched, when you are blogging or surfing craft blogs in your skimpy pjs late at night while munching on massive bags of nachos and chilli dip....and the webcam is just staring you full in the face....it's creepy right??? A connection to the voyeuristic world of the internet and a working camera pointed at you during your "personal time"... it really isn't particularly comforting to say..."the webcam programme isn't on, so just relax!". But iiiis it off?? Are you suuuure?? ...and then POUNCES!! The creepy little peeping-cam is enveloped inside a cosy...won't that make interesting viewing for the hypothetical people spying on me during "personal-pj-time"
Haha! O the satisfaction there is in foiling fictional conspiracy plots! I'm on to you webcams-of-the-world!! ma che bella!! !è davvero carinissima!!!! !i miei più sinceri complimenti!! hehe - I know exactly what you mean, I loved how the wee cammi snuck up on the web cam! 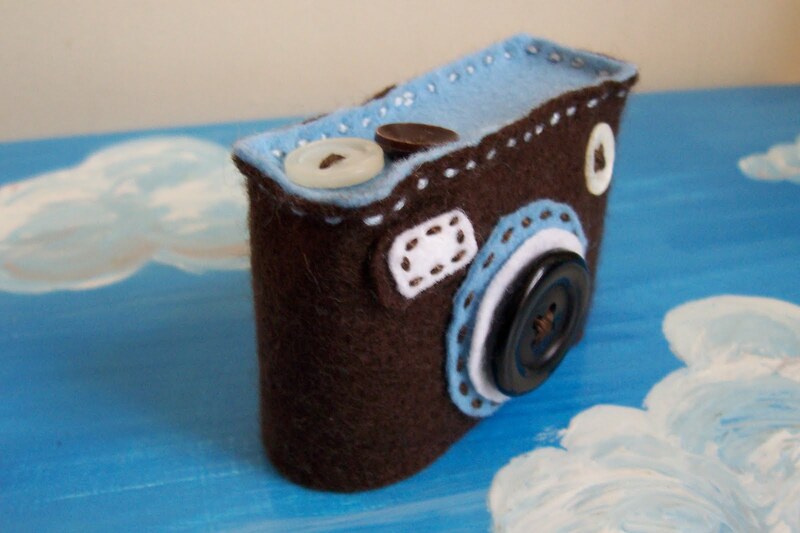 (It's your camera's camisole - haha) oh dear - bedtime for me. haha we are all so alike! 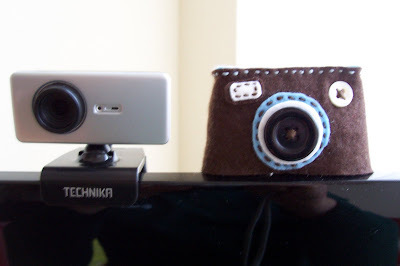 i hate web-cams as i fear they never really switch off and that could be dangerous! i saw this on your tv the other day but i didnt realise it had a button over the front - i just thought it was the lens of the camera poking through so i thought you had made a camera cosy rather than a cover which is a great idea but not very useful - a camera cover on the other hand is invaluable!!! the niute i get a web-cam im commissioning one of these guys!! and by 'niute' i mean 'minute' but im in france at the min (wowhoo!) and this keyboard is different from ones at home! !